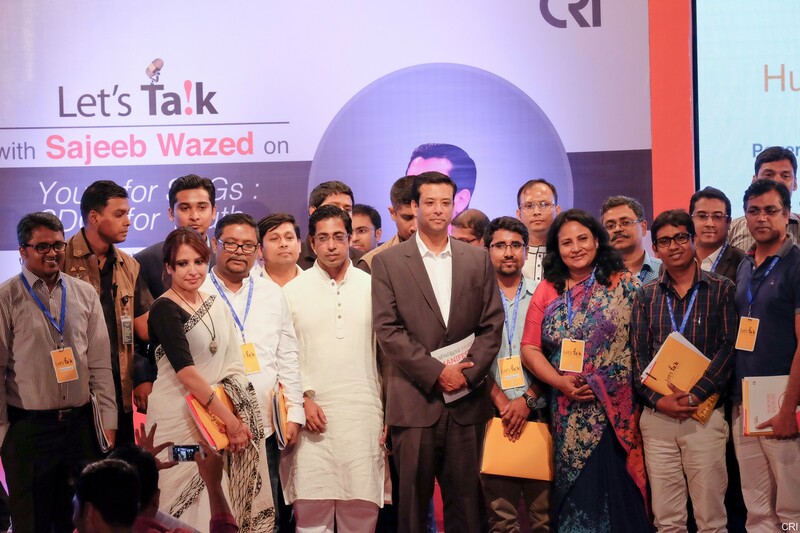 On 20 September, 2015 Centre for Research and Information (CRI) organized the 15th session of its flagship event, ‘Let’s Talk’ at the auditorium of Krishibid Institution Bangladesh (KIB), Dhaka. 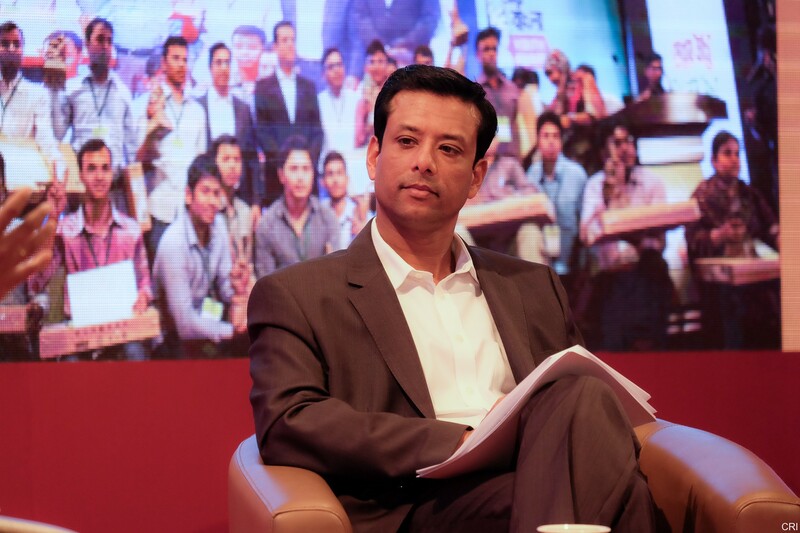 This time the invited guest was the Honorable Prime Minister Sheikh Hasina’s Information and Communications Technology (ICT) Affairs Advisor Mr. Sajeeb Wazed. The topic for the day was “Youth for SDGs, SDGs for Youth”. 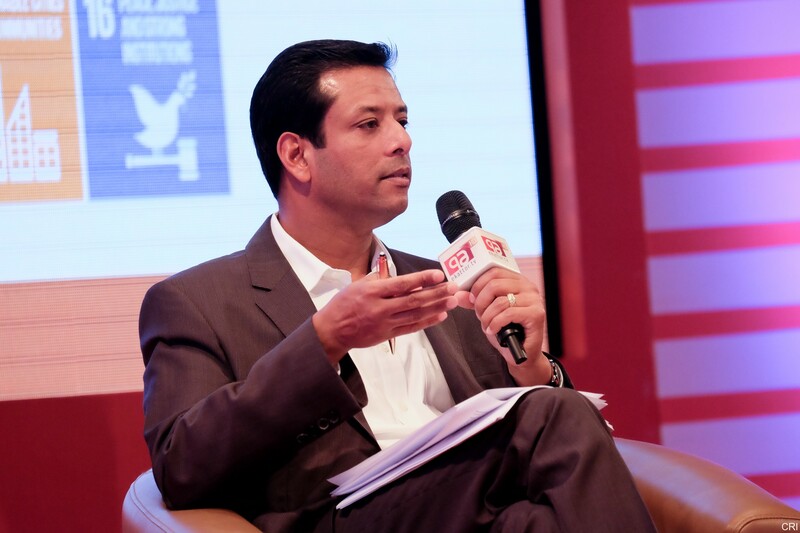 The focus was thus on the recently adopted United Nations (UN) Sustainable Development Goals (SDGs), the 17 global goals the world has set for itself to be achieved by 2030. 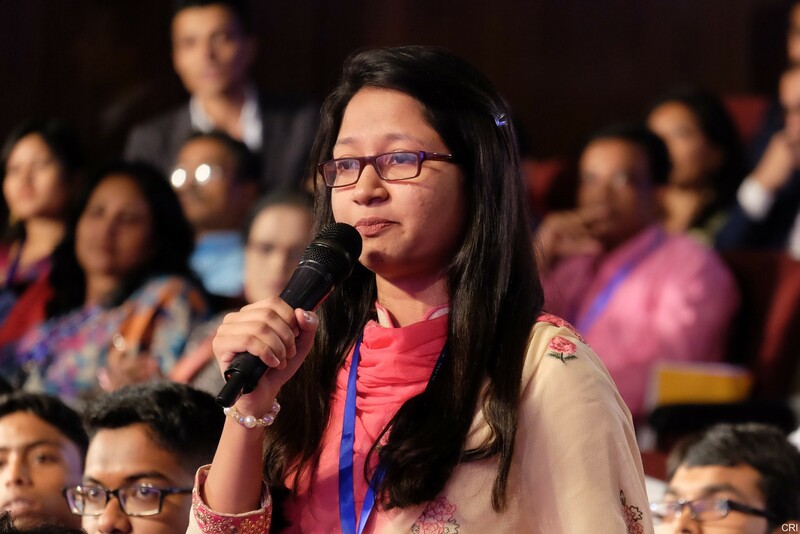 The event was thus organized to facilitate dialogue between a top policymaker and members of the young generation of Bangladesh, whose contributions are most crucial for achieving these ambitious goals. 3. 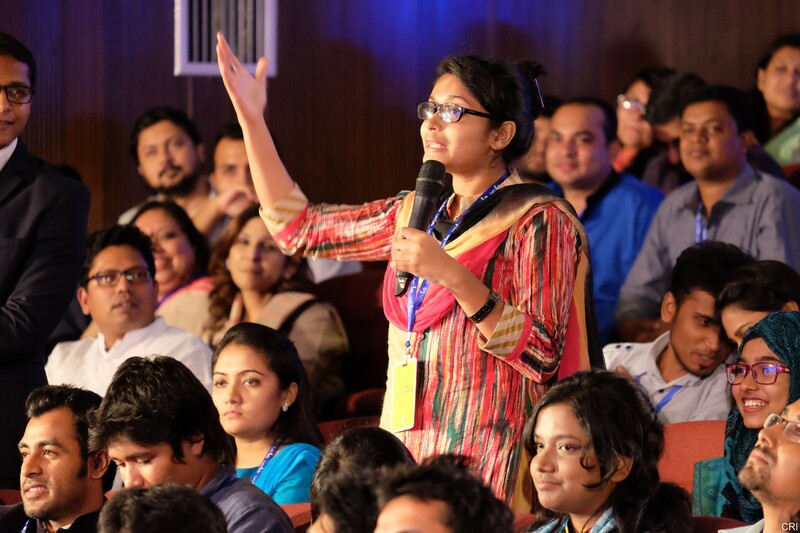 Youth for SDGs (during which time, youth achievers talked about how they are participating in the task of sustainable development, youth participants pledged their commitments to help the country to achieve the SDGs and a final Q&A session between the guests and participants, including questions and comments from online). 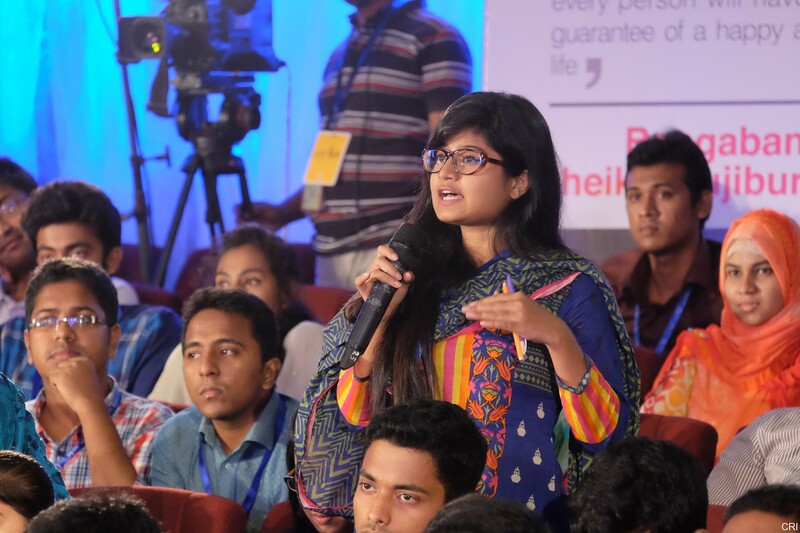 Around 200 vibrant and engaging young people participated in this important discussion on public affairs. 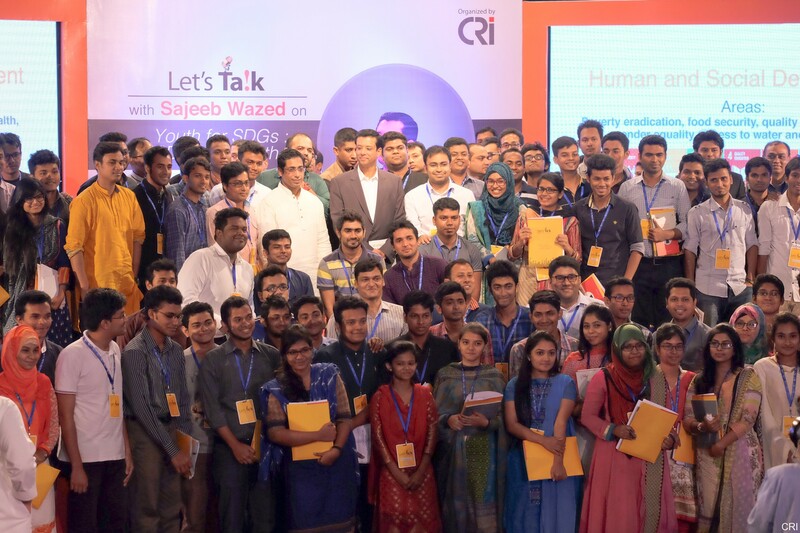 CRI also collected some participants from its online campaign surrounding the event, whereby youths were asked to leave their suggestions comments on the country’s sustainable development in the official Facebook page and via email. Those with the best answers were selected to participate. 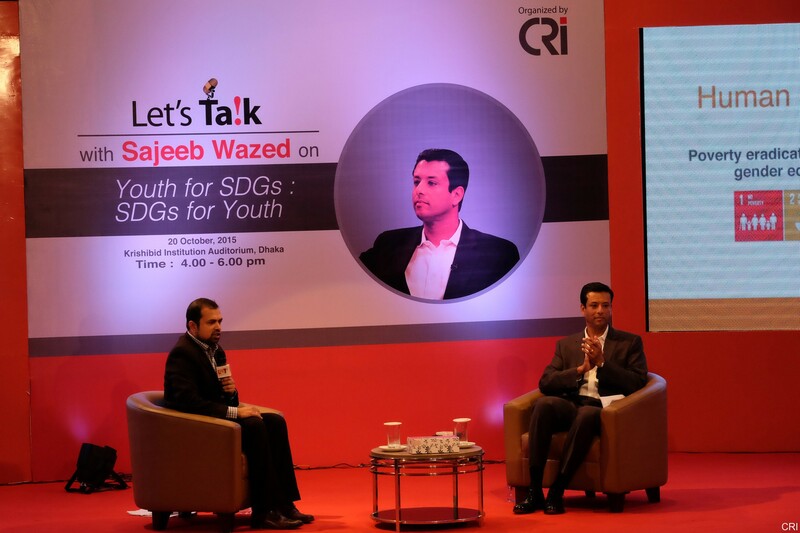 CRI also collected questions, comments and suggestions from online to be raised during the main event using #HaveYourSay and #AskSajeebWazed hashtags. The participants consisted of youths from a cross section of society, including university students, young professionals, young entrepreneurs, social workers, and activists. 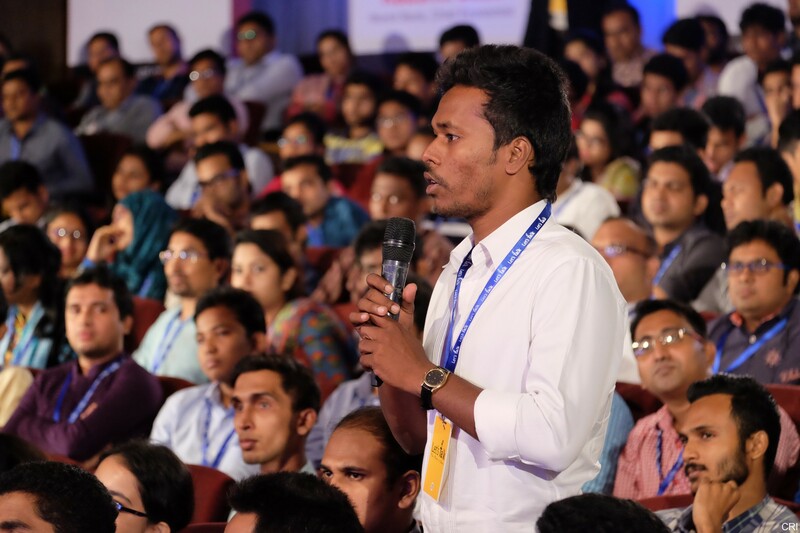 Before the main event, CRI organized two focus group discussions (FGDs) with 40 participants each to prepare the younger audiences for the topic by imparting the necessary lessons and pre-event studies. xv) Dividing Dhaka into three zones, residential, commercial and industrial to tackle such civic problems effectively as traffic congestion, pollution etc. 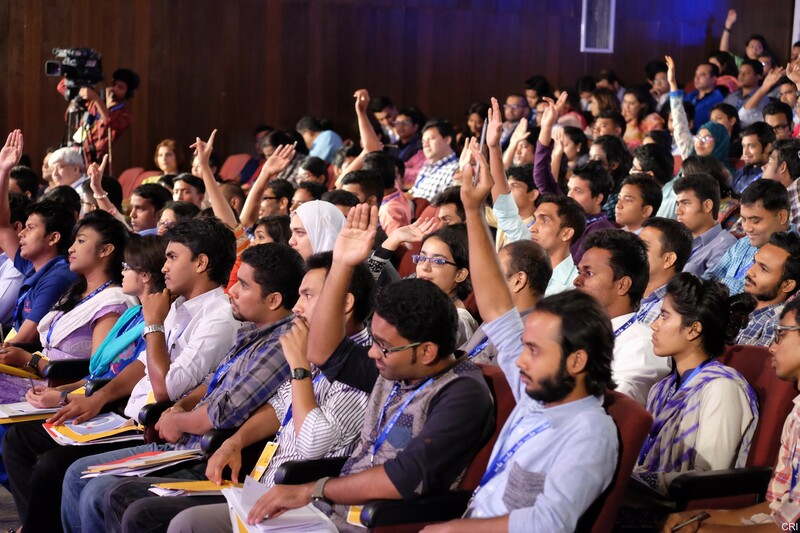 xix) Ensure political participation of youth in universities by arranging elections to students’ union elections. As regards law and order, of course there are problems. Murder, mugging is there. There is no country in the world where there are no crimes. But, you have to see where we stood in the past. In fact, our crime rates are as much or less than that in the USA. Corruption cannot be eradicated completely. This is the reality. 7/8 years back, when BNP-Jamaat was in power, Bangladesh became a champion in the world in the eyes of the world for five years. Now, Bangladesh is receiving one award after another from the world. Nobody is calling Bangladesh a corruption plagued country in the world. We have not been able to wipe it off completely, for that we need time. But this depends on one’s character. It depends on the character of leadership. Transparency depends on oneself. The Awami League government does not tolerate corruption. My mother never tolerates corruption. Neither do we. Our Ministers also know this. Corruption cannot be fully eradicated. But we strive to reduce it as much as possible. As regards terrorism and militancy, the Awami League government has an absolutely zero tolerance policy. We will not allow this to happen under any circumstances. Every week we are arresting some militants with arms and explosives. They are trying their best to launch a major attack. But the Awami League government has not allowed this to happen. We are apprehending them, arresting them. This is why these terrorists and militants are mounting what is called ‘lone-wolf’ attacks, as in targeting individual people. But we are continuously combating them. Our Awami League government will never allow these militants to form any base in Bangladesh. It is true that our society needs a change. We have to first become aware ourselves that our women are our equal. There are many who cannot accept this. But we have been able to showcase Bangladesh as an example to the world. Bangladesh is the only country in the world where the Prime Minister, Leader of the Opposition, Speaker of the House are all women. We have created quotas for women. I believe that society will change as rapidly as we can provide examples from the top that women can lead us. That is how we will achieve the change gradually. The more our women become independent, this will improve. That is why we want education to enable young women to stand on their own feet by securing employment. The amount of work, such as drainage and dredging, we have already done in this regard has significantly improved the water logging situation compared to the past. Dhaka city used to be inundated under water in every rainy season. I have seen with my own eyes boats plying the Mirpur Road and Gulshan Avenue. Now that does not happen anymore. There are limits to what can be done. When there is extremely heavy rainfall, drainage facilities will reach their limits. This is the reality, no matter what we do. We are doing dredging, improving drainage, and hence the situation is better than before. We’ll continue to work further. We are trying to brand Bangladesh as an ICT destination generally. 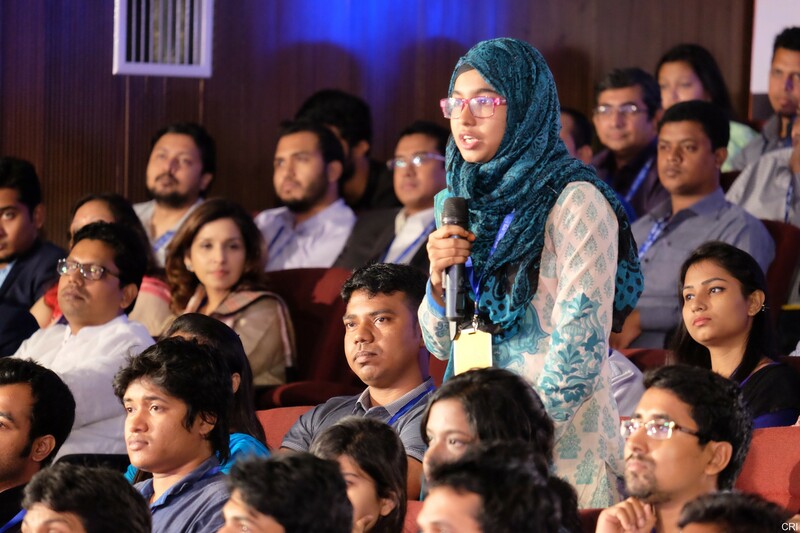 We are regularly holding ICT expositions abroad, including regular events at Silicon Valley to help Bangladesh’s ICT industry get a global market. We have organized events in Oslo, Norway and next month we, the ICT Division, will hold an event on e-Commerce in London. 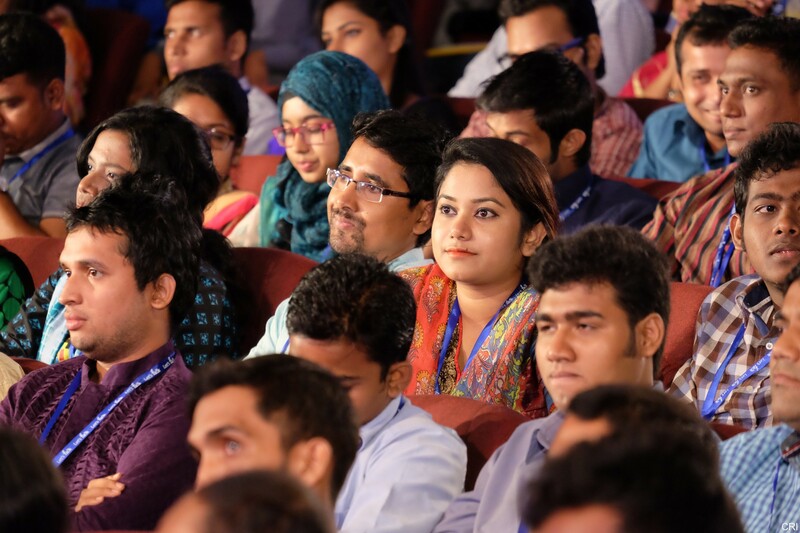 Hence, every month we are taking part in fairs and expositions internationally to brand Bangladesh’s IT industry. We have to concentrate on the main factors behind child marriage. For instance, in villages, a poor family wants to get their daughter married off quickly, so that the family may be saved from the expenses of raising her themselves. What we did here is focus our attention on education and training. To encourage poor families to send their children to school, we are providing these children with free books, so that families do not have to incur any expenses for schooling. There are practically no costs of education. 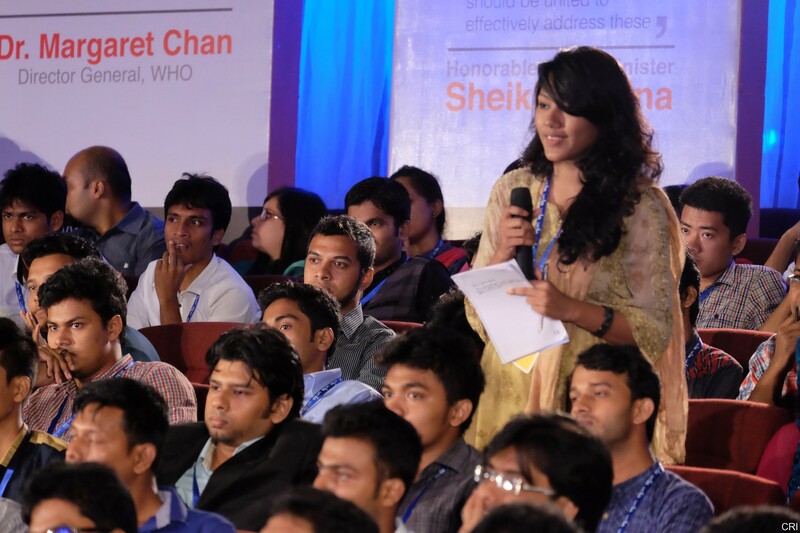 Our government, the Awami League government, has put importance on research from the beginning. First we concentrated on agricultural research. That is why we have been able to raise food production to such an extent. Bangladesh has come up with such newer varieties of rice which no other country has been able to do. We are now getting the results of those researches. But it is true that the time has now come for putting our attention on researching things other than agriculture. In the Millennium Development Goals, the target was to secure 100% enrollment in primary schools. Additionally, securing gender parity in primary school admission was another target. We have met these targets. What next? We have doing that planning for quite some time. Under the recently adopted SDGs, the UN has set the target of improving the quality of education. The Awami League government actually planned for this, years ago. We set some minimum requirements for education, including asking that mathematics, science and language be taught at Madrassas. We decided that such quality enhancing measures must be adopted. Till date, our focus on exams has been to examine students on their rote learning of notes and teachers’ materials. Now, we are prioritizing problem solving like they do in the education systems of developed countries. We have taken initiatives for providing easy loans to entrepreneurs. 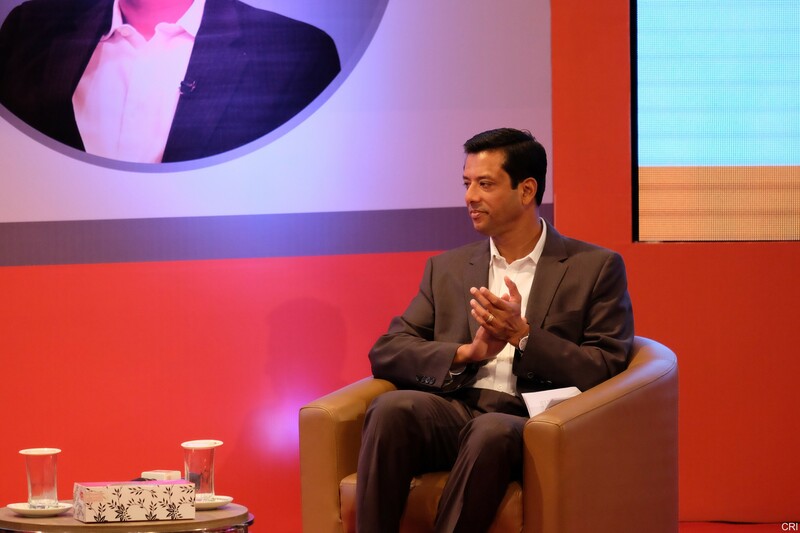 The SME Foundation has about TK 2 billion for giving loans to entrepreneurs. It is true that the loan process is complex such as conditions like collateral. We are now working to make the process easier. Additionally, there is a lack of information on this topic. Many who are seeking loans do not know where to go to for their loan applications. If you research a bit more, you’ll see that we are giving loans through various initiatives. 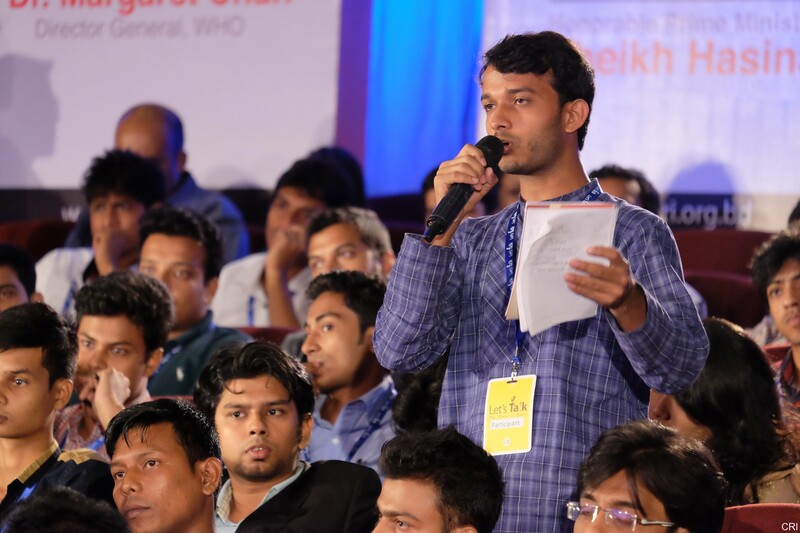 But many are not clear about the platforms and amounts, especially young and small entrepreneurs.